Does the strife in this world make you long for quiet and rest? Discovering real peace can appear to be challenging. But peace doesn’t come from a place; perfect peace is found in Jesus Christ. 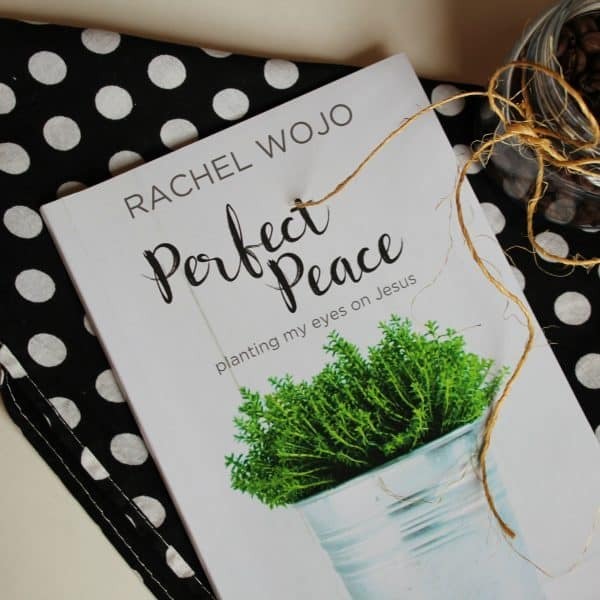 The Perfect Peace Bible reading plan and journal provides 31 Scripture references ideal for one month of fixing your eyes on Jesus, no matter your circumstances. Each day includes one focus word and simple memory statement to encourage you to rest in the calmness only Jesus can offer. Specifically designed to help you remember to spend time with God each day and enjoy his love letter to you, the simplicity of this Bible reading plan and journal makes it one you’ll long to share with others. Through this Bible reading plan and journal, you’ll discover sweet rest in his precious promises and establish the deep roots of perfect peace. Does the strife in this world make you long for quiet and rest? Discovering real peace can appear to be challenging. Peace doesn’t come from a place; perfect peace is found in Jesus Christ. The Perfect Peace Bible reading plan and journal provides 31 Scripture references ideal for one month of fixing your eyes on Jesus. No matter your circumstances. Each day includes one focus word and simple memory statement to encourage you to rest in the calmness only Jesus can offer. Specifically designed to help you remember to spend time with God each day, the simplicity of this Bible reading plan and journal makes it one you’ll long to share with others. Through this Bible reading plan and journal, you’ll discover sweet rest in his precious promises. You’ll establish the deep roots of perfect peace. You’ll enjoy his love letter to you!